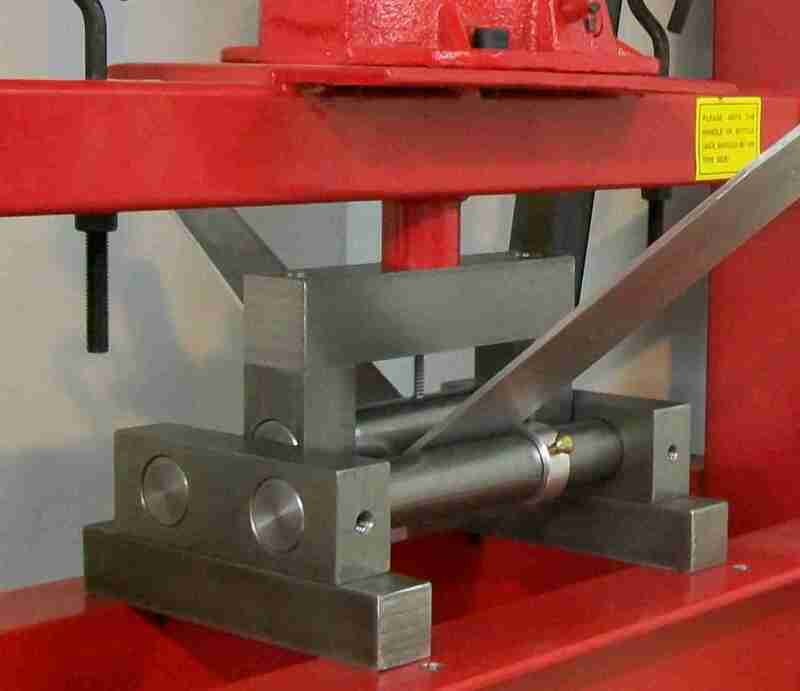 M610 Heavy Sheet Metal Bender | Locus Engineering Inc. The E610 Heavy Sheet Metal Bender allows up to ¼” thick aluminum or 1/8” thick soft steel and 4” wide to be bent around a ½” radius roller for stress free bends. The large bend radius allows harder alloys to be bent without cracking. A locating pin assists positioning the workpiece to prevent slippage. Available for use with a shop press or with manual operation using an ACME thread. Solid steel construction allows reliable operation and long life.